Authentic teriyaki blend. Ideal for braising, grilling & stir- fry. 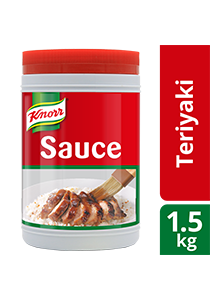 Use 50g of Knorr Teriyaki Sauce for every 250g of meat (for stir-fry).